Your oven broiler cooks food quickly at a high temperature, turning the food golden brown and providing a way to give food a grilled flavor and texture indoors. 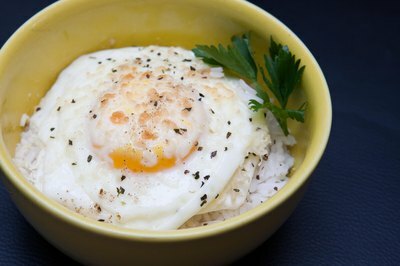 Although you can broil eggs, a little bit of precooking ensures they cook through. 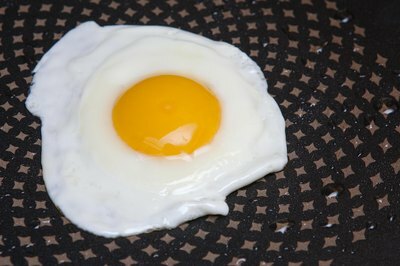 Otherwise, the eggs may be perfect on top but still raw in the middle -- or even worse, cooked through but with tops burnt to a crisp. 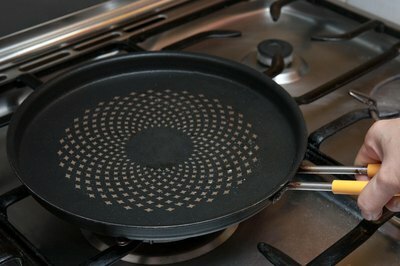 Preheat an oiled frying pan on the stovetop burner over medium-high heat. Cook the eggs until they have just begin to set, but do not cook them through. 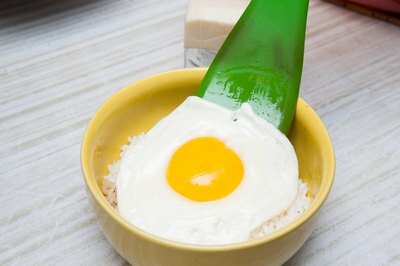 If you are cooking whole or sunny side-up eggs, cook until the whites begin to set but the yolk is still runny. For broiled scrambled eggs, beat the eggs to break the yolks and then cook them until they are creamy but not cooked through before removing them from the heat. Preheat the broiler. 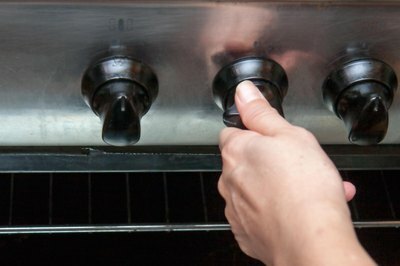 If your broiler has multiple heat settings, use the low setting so you don't burn the eggs. 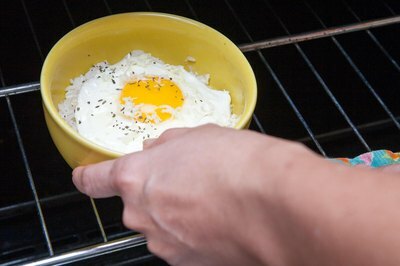 Place the half-cooked eggs in a shallow greased oven pan. Alternatively, fill the pan to a 1-inch depth with cooked diced potatoes, cooked rice, or cooked vegetables and place the eggs on top. 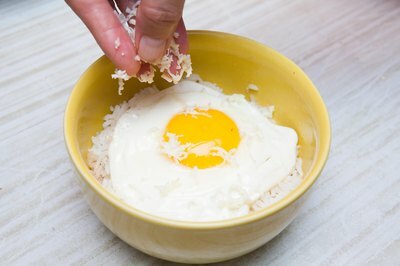 Sprinkle grated cheese, such as cheddar or mozzarella, on top the eggs, if desired. Season to taste. Place the pan of eggs on the top oven rack, directly beneath the heating element at the top of the oven. Broil the eggs for one to two minutes, or until the egg whites and yolks set completely and any topping begins to brown and turn golden.